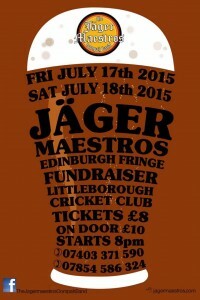 The Jäger Maestros Oompah Band will soon be strutting their stuff at the world famous Edinburgh Festival in August. The band will be appearing at the The Space, Hill Place, Edinburgh, between 16th and 23rd August at 17:00 – 19:00. Their appearance has already captured the interest of the local and national media with an on line interview with Levi Bailey of Broadway Baby! We will also be on the streets of the fringe throughout the week, giving you some oompah music for you all to sway merrily along to! To prepare for this, the band are also pleased to announce the dates of two anniversary concerts in July, which will feature new arrangements and plenty of dancing! 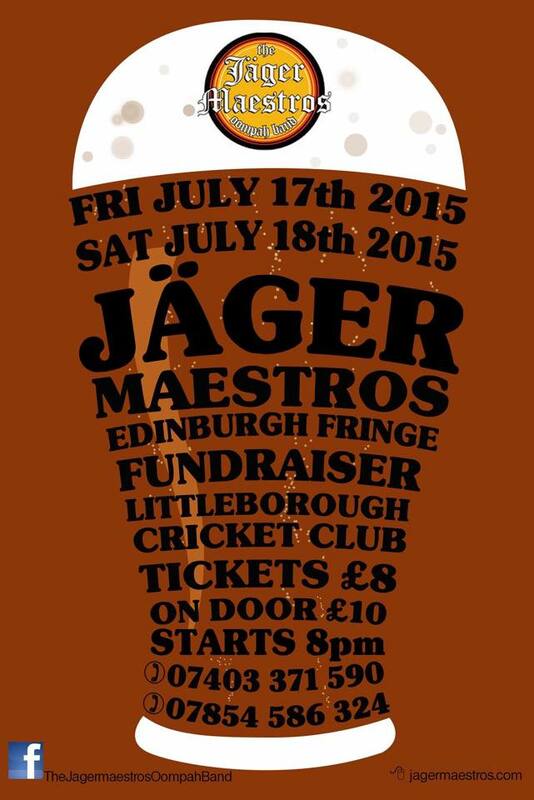 Come along to the best Jäger gig in England for a crazy night! "Congratulations on an amazing show. You really know how to put spectacular fizz into thousands of people. The musical arrangements are superb, the timing and presentation is a joy to behold and the energetic insanity of the front man is jaw dropping and wonderful fun. Brilliant!" Kevin Wadsworth- Vice Chairman of Association of Brass Band Adjudicators.